The ads we display on your websites are redefined for leveraged performance. Please click here to see the difference between them. 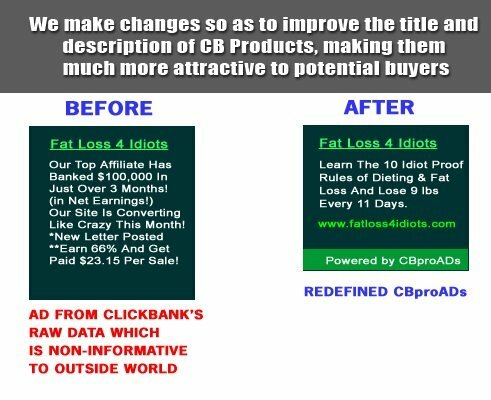 CBproADS has developed an amazing Clickbank Ad generation tool set which allows CBproADS members to create high quality Clickbank Ad which, when displayed, greatly increases the revenue generating potential of their websites and blogs. Using the built in customisation facilities of the Tool Set, members can create Clickbank Ads by category, display type, size, colour and format. 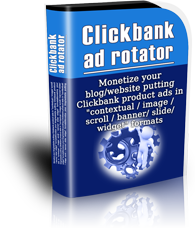 Our few lines of code will display the latest Clickbank marketplace ads on your site, embedding your Clickbank ID in all your links. These types of ads are meant for those who own blog/website. You can choose to display any type of ad formats that you wish to display. Once you’ve generated your ad code by visiting the appropriate ad block generator and following the steps to choose an ad type, format, and colors, you’ll need to add the code to your webpages. In the final step of the setup, you’ll see your code in the Code box. This is the code that you will cut-and-paste directly into your webpages.